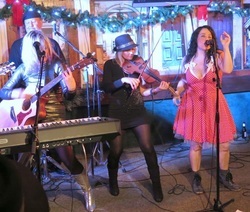 Bonnie Kaye is a classically trained indie rock/world violinist who has played with percussionists and deejays in London, Ibiza, and at some of the hottest clubs in NYC. Bonnie also performed selections from "Cirque du Soleil" at Radio City Music Hall for a capacity crowd of 6,000. Bonnie loves the blues and performed with "Breakfast Jambalaya" in New Orleans, "Ike & the Coldbloods" in San Jose, CA and opened for Clarence "Gatemouth" Brown at JJ Blues Club in San Jose, CA. 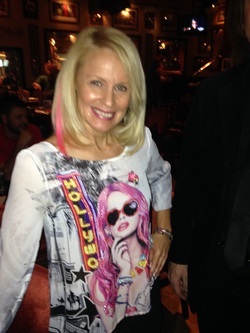 Bonnie played in Nashville during the 2014 CMA Fanfare Festival and at Comerica Park for the 2014 Downtown Hoedown with "The Joey Vee Band." 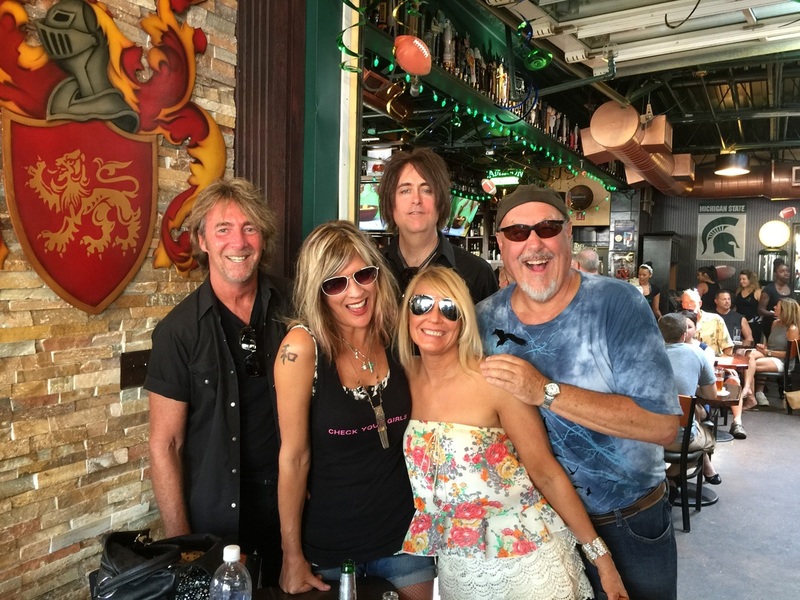 Bonnie is a member of the critically-acclaimed indie rock band, "The Carolyn Striho Group" and is recording a third CD with uber-creative artists Carolyn Striho, Scott Daley, Dave Dion and Ron Wolf. Bonnie also performs with the jazz group "The Gene 'n' Tonics", and has recorded tracks at Cocco Music for the up and coming pop vocalist, "Brittany." Bonnie has also performed with the iconic funk/R&B/soul group "The Innocent Bystanders" and is collaborating with "TIB" percussionist Roberto Warren, "TIB" bassist Gordon Spencer, and Howling Diablo guitarist Erik Gustafen on a latin/jazz/funk fusion project, "The Refuge of Giants." Bonnie looks forward to going in the studio this year to record with legendary bassist/producer "T-Money" Green & The G-Funk Review. Bonnie's first original CD "Passion" is an eclectic blend of world, jazz, blues and classical music that continues to gain momentum and is featured on many fan websites. Bonnie's latest classical release, "Suite Overture" was nominated for a 2015 Detroit Music Award for "Outstanding Classical Recording." A remixed version of that track will be included on Bonnie's new avant-garde classical LP, currently in production. Bonnie Kaye collaborated with iconic Detroit rocker Carolyn Striho to win the 2014 DMA for "Outstanding Classical Recording" for Minuet, a piano/violin duet featured on Striho's DMA-award winning album, "Word Attack." Bonnie was nominated for two individual 2016 Detroit Music Awards, "Outstanding Classical Instrumentalist" and "Outstanding Classical Composer", and one band award, "Outstanding Indie Rock Group" as a member of "The Carolyn Striho Group." 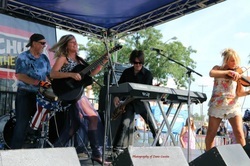 Bonnie appeared with "The Carolyn Striho Group" on the national stage at the 2016 Arts, Beats, & Eats Festival, opening for Joan Jett and Buck Cherry. The Carolyn Striho Group is hosting a CD Release party on Sat. October 22nd, 2016 at "Callahan's Music Hall" in Auburn Hills during double-bill show with Rio & The Rockabilly Revival. Active on the Detroit-Metro music scene,Bonnie has also performed with Detroit country rock band "Two Tone Tobacco", Rod Stewart Tribute Band "Danny D & The Vagabonds," and "Alan Turner & The Steel Horse Band." 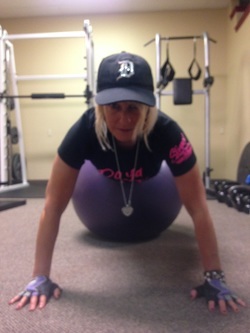 Bonnie is also an ACE-certified personal trainer (www.insidefitness.com) and Emmy-award winning producer, reporter and Olympic Correspondent for CBS News & CBS Sports. (www.bonniekayemedia.com). Bonnie is releasing a new series of "Inside Fitness" television reports in October 2016. Stay tuned! Congrats to members of The Carolyn Striho Group for a combined 7 DMA nominations this year! 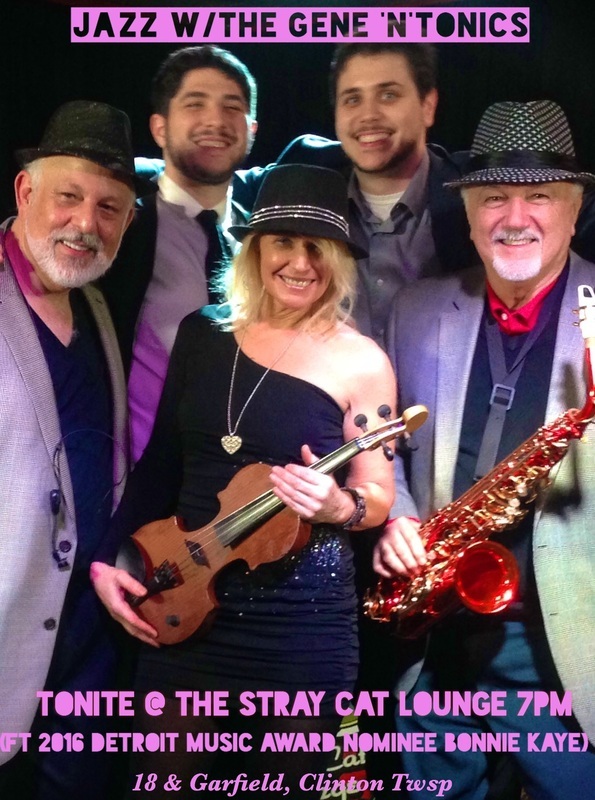 Bonnie Kaye makes her 10th appearance as a featured jazz artist with "The Gene 'n' Tonics" at The Stray Cat Lounge on Wed. April 27th, 7pm-11pm, performing jazz standards and original modern jazz/classical compositions. Also, welcome back special guest artist, bassist Dave Dion! Dave will be playing latin/jazz/rock tunes in his first Detroit appearance since O'Mara's with The Carolyn Striho Group in December 2015. Welcome back Dave! Detroit misses you. 2016 Detroit Music Awards Parties & Events! The Detroit Music Awards hosted a classy cocktail party at The Greektown Casino Hotel. And an eclectic fundraising event at The Fowling Warehouse featuring T-Money Green & The G-Funk Review. Bonnie Kaye received 5 individual nominations, "Outstanding Americana Instrumentalist," "Outstanding Country Instrumentalist," "Outstanding Classical Instrumentalist," "Outstanding Classical Composer," & "Outstanding Classical Recording," for "Suite Overture." 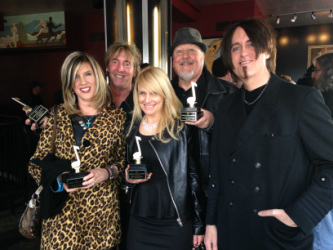 Carolyn Striho won the 2015 DMA for "Outstanding Rock Songwriter." Congrats Carolyn! 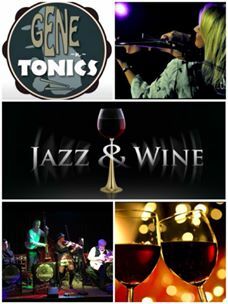 The Carolyn Striho Group Rocks Arts, Beats, & Eats, Callahan's Music Hall, The Loving Touch, O'Mara's & More! 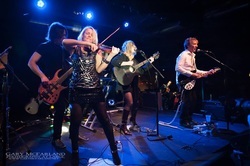 The Carolyn Striho Group had an awesome show at Callahan's Music Hall in Auburn Hills. Teaming up for an encore event with "Rio & the Rockabillies", the two groups sold-out the venue for the third year in a row! 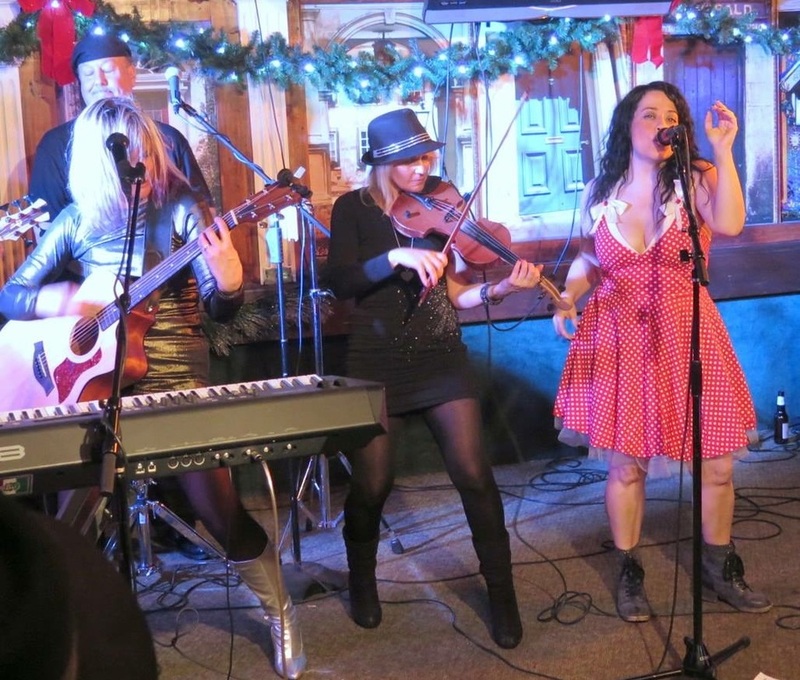 When the two groups teamed up for their 2015 holiday show at O'Mara's, it was another standing-room only crowd. The show had great energy and the crowd was amazing! Newly recorded CSG tracks "How Can I Talk to You," "Russian Inn," and "Cornered Room" debuted to enthusiastic applause. Thanks to everyone who showed up! 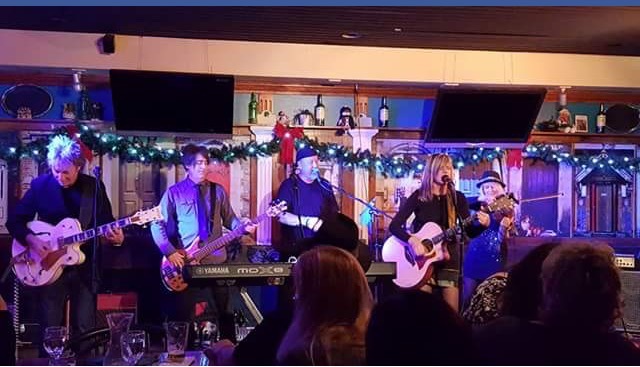 CSG also collaborated with Jill Jack & Concrete Sidewalk for an intimate, well-received show at The Majestic Cafe in November and a red-hot show (literally) at The Arts Beats & Eats Festival in Royal Oak in September where temps soared above 95 degrees! Also in 2015, The CSG teamed up with Rio, Maggic Cocco, and other talented women for the "Women Who Rock" Show at The Loving Touch in Ferndale. Another great crowd, great show! Bonnie is proud to announce the winning of the 2014 DMA Award for Outstanding Classical Recording: "Minuet" featuring Bonnie Kaye on violin & Carolyn Striho on piano. The Carolyn Striho Group also received the 2014 Award for Outstanding Acoustic/Folk Recording, "Word Attack" and top honors for Outstanding Classical Composer (Carolyn Striho) and Outstanding Acoustic/Folk instrumentalist (Scott Dailey). Bonnie was also nominated for "Outstanding Country Instrumentalist" and "Outstanding Classical Composer". The Carolyn Striho Group from left to right: Carolyn Striho, Scott Dailey, Bonnie Kaye, Ron Wolf & Dave Dion. Click for more photos. 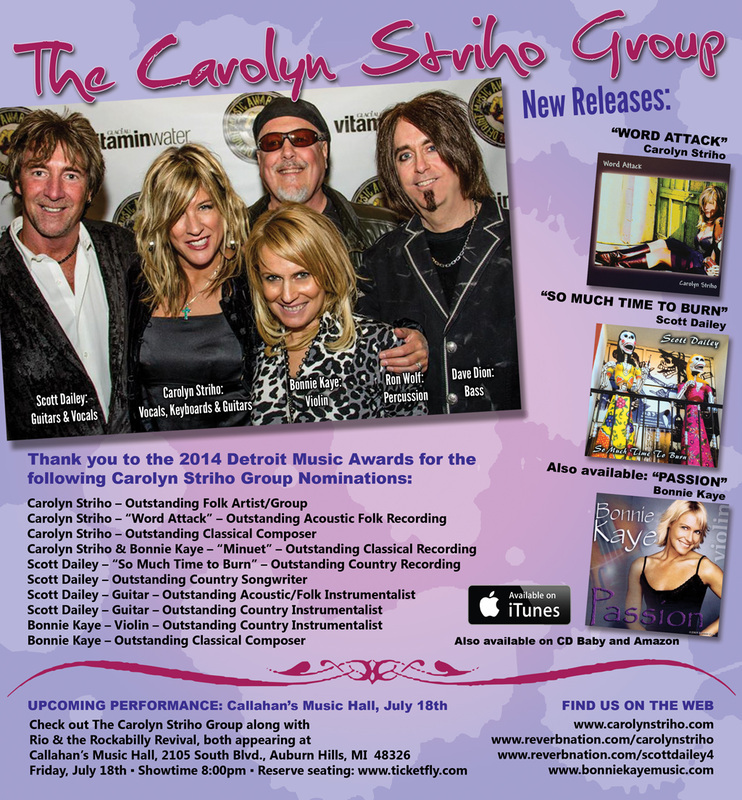 2014 Detroit Music Award News: Carolyn Striho Group Receives 10 Nominations, 4 Awards! Thank-you to the 2014 Detroit Music Awards for the following nominations and awards! Outstanding Acoustic/Folk Recording, "Word Attack" Winner! Check out Bonnie's violin playing on Carolyn Striho's new CD "Word Attack" which includes the award-winning classical duet "Minuet" (listen above) and other unique originals such as "Tiara", & "Enchante". 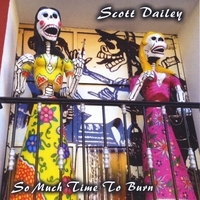 Bonnie also plays on "Game of Hearts" and other cool tracks on Scott Dailey's new release, "So Much Time to Burn". Great news--Carolyn Striho is back! 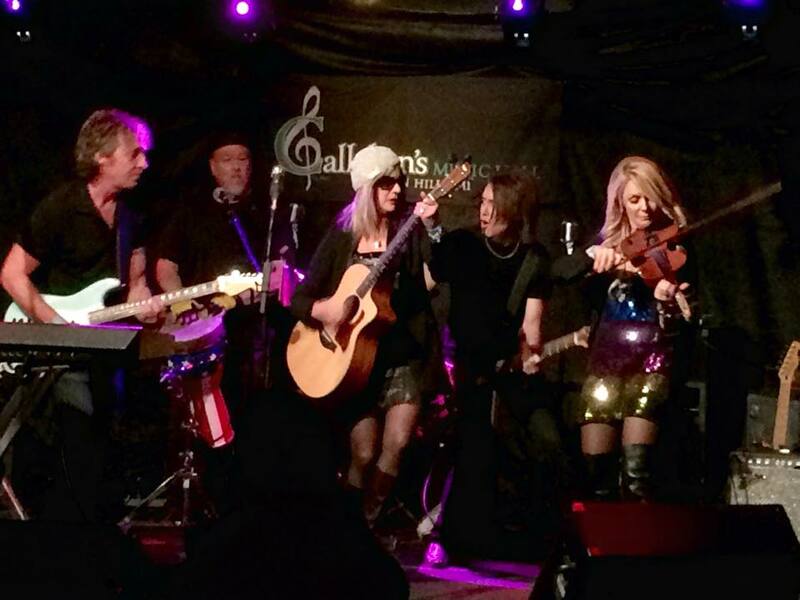 The Carolyn Striho Group is back in action after Carolyn took a brief hiatus for health reasons, but now she is back in action, and ready to ROCK! We are releasing two new CDs--please join us for our music listening party at The Majestic Cafe in Detroit on October 15th, 7pm, airing on WDET-FM. We are also having another release party and return engagement at Bachelor's II in Keego Harbor on Friday, November 8th and Saturday, November 9th, 8pm. The last time we were there the place was packed and rockin'! Please join us--lots of fun people, great music and yummy food! Here's to health & happiness...and of course, beautiful music! We love you Carolyn! Glad you are back. Sensual, romantic lounge music sprinkled with exhilarating dance grooves best describes this creative first release from electric violinist and composer Bonnie Kaye. A unique, eclectic blend of classical, jazz, blues, and world music. Sweet, romantic, reflective track featuring Bonnie Kaye on violin & keyboards.